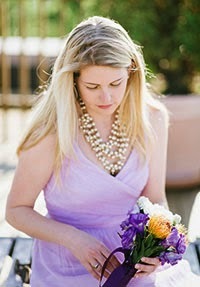 One of the great loves of the preppy nation are monograms. 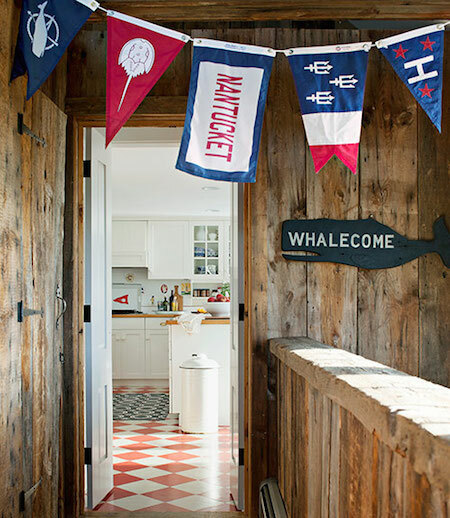 So what better way to add a little seaside flair to your home than said monograms spelled out with nautical signal flags? 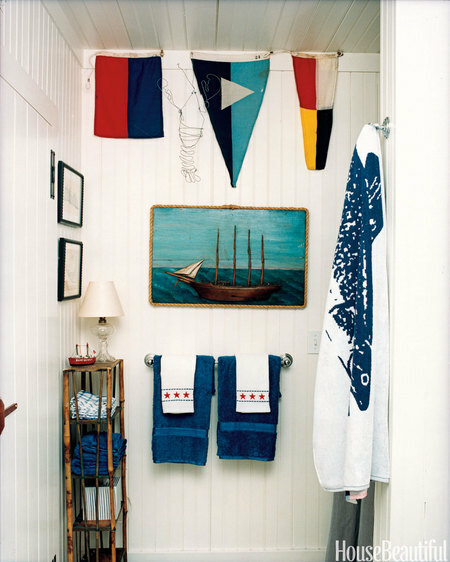 I'm not advocating covering your home with streamers of random flags, I'm a little bit of a minimalist when it comes to nautical decor (if over-the-top is your thing, well, go for it.) I happen to be of the mind that a few vintage or replicated flags framed or hanging mixed in with other artwork looks a bit more authentic and reads meaningful collection rather than trendy nautical. 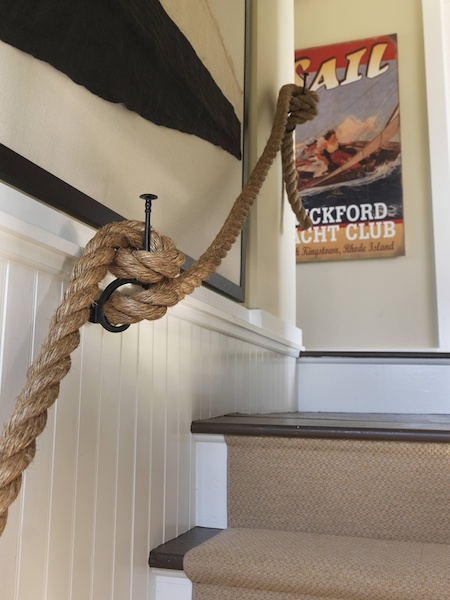 I also love finding large scale vintage signals that provide enough of a statement they can stand alone to create an effortless nautical design.